"I would like to tell all those who mess up with something illegal, all thieves, criminals, all who give and take bribes, that they will not be able to sleep peacefully anymore. This is my message, dear friends!" 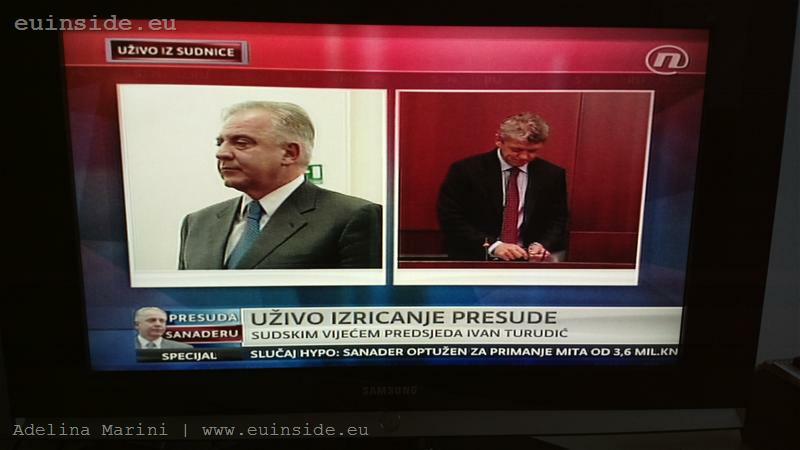 Pronouncing these words five years ago, the then Croatian Prime Minister Ivo Sanader must have hardly expected that just a few years later he would be sentenced to 10 years in prison exactly for taking bribes. Sanader, whose government started the EU accession talks, fell in the trap of his own country’s efforts to show Brussels that it can fight corruption even on the top. On November 20th, he had to hear quite a different thing: "The accused Ivo Sanader is found guilty for the fact that between 1994 and March 11th 1995, in a war-time situation, has negotiated high interest rates on loans for the state that already found it difficult where to borrow from. As a deputy foreign minister and a negotiator with Austria’s Hypo Bank on the conditions of a loan to buy an embassy building, he took advantage of the difficult situation in the country for war profiteering". 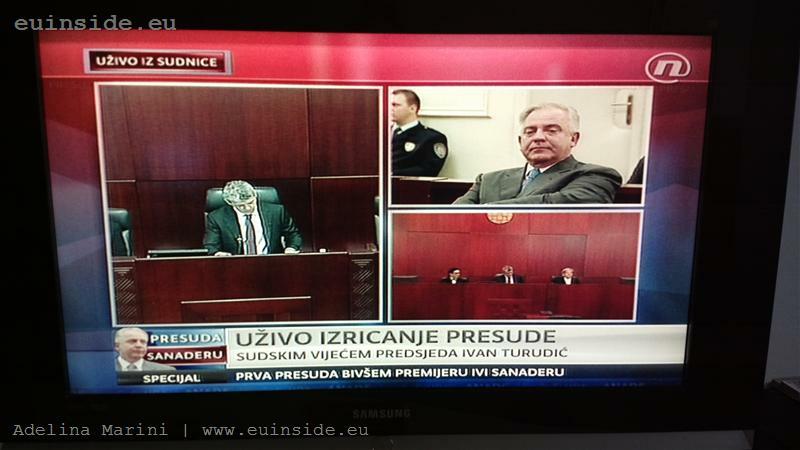 That is written in Sanader’s sentence, ruled by Judge Ivan Turudic. Until the sentence becomes effective (it can be appealed before the country’s Supreme Court), Sanader will stay in custody in Zagreb, where he has already spent several months during the trial against him. In short, according to the prosecution: Sanader had abused power during the 1991-1995 war by accepting a brokerage from Austria’s Hypo Bank and that by taking a 10 million euro bribe he had betrayed the country’s national interests putting the management of the Croatian oil company INA in the hands of Hungary’s energy group MOL, which several years ago became a majority owner. Now he has 15 days to pay back 3.6 million kuna (around 470,000 euros), for robbing the state. With hindsight, the hypothesis that Sanader knew what was going to happen is not that unrealistic and his sudden withdrawal from the political scene in 2009 is not that surprising any more. Before his two terms (the second ended earlier) as a prime minister, Sanader made quite an interesting career: from a director of the Split theatre, via a not quite recognised diplomat, to a leader of the opposition and the first man in the country. Following his surprising resignation, his post was taken by his right hand in the government, Jadranka Kosor, during whose term Sanader was pressed with charges, arrested in Austria to reach to today's sentence against him. "The reading of the sentence is a historical precedent for Croatia, after which a lot of things will never be the same. The rule-of-law state and the vox populi have finally matched: the ruling of the judge confirmed what people were seeing all the time - that Croatia had an awfully, painfully corrupted prime minister and a ruling top that was ready to sell the country’s key interest for some millions in their pockets". We could just hope that the words in the above comment by Jelena Lovric for the Zagreb-based Jutarnji list daily would become true and this precedent would not just be part of what the European Commission insists upon in its reports for elimination of corruption and that Croatia will not be a single example in the region. That is also what some Croatian MPs were hoping for, as according to some if the sentence were confirmed by the Supreme court that would be the real proof that the fight against corruption in the country was really serious. Because, as The Financial Times writes: "That the ruling will go down well in Brussels is obvious. Croatia’s record in fighting corruption has been repeatedly criticised vy the EU, which wants to see more action before Croatia joins the Union next July". In the meanwhile, following the sentence, Brussels also urged the fight against corruption not to stop with Sanader’s verdict. "The fight against corruption is fundamental for the the rule of law in any state. 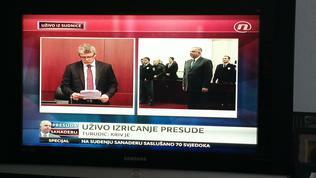 Croatia made a significant progress in this area with stable legal frame and institutions. The Commission calls for the country to continue the fight against corruption on all levels, including the highest one, and to continue to achieve sustainable results in this field", enlargement commissioner Stefan Fule’s spokesman was quoted saying by Croatian media. 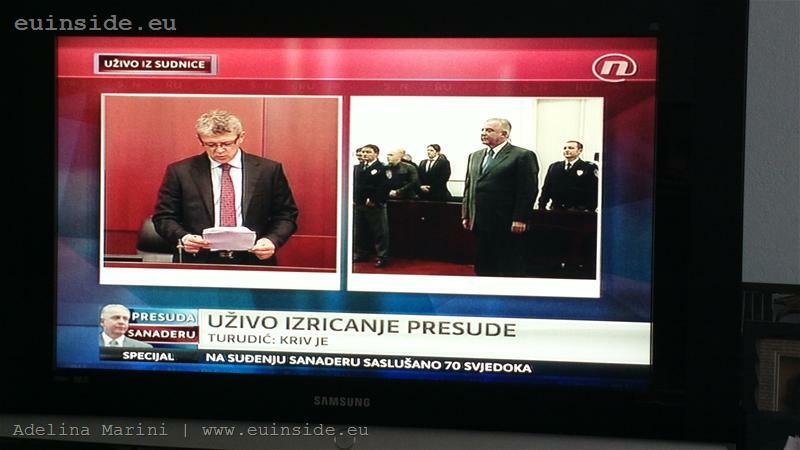 What is to follow in the country is a new trial against Sanader on charges for syphoning his HDZ’s party unofficial cash-box, where funds from state-owned companies and public procurement contests were transferred - a case that is as interesting because it cost the party, led by Sanader long ago, the power which was only its second loss in the past 20 years.